The Denon DJ HP1100 headphones are the way to go. Their oversized 53mm drivers—the largest in their class—deliver unparalleled bass response and impact. They present every detail. They handle an impressive 3500mW of power, so high volume all night is no problem. With an innovative 180-degree swivel and dual-pivot ear cup design, the HP1100 conforms to any head size/shape and is more durable than other headphones. 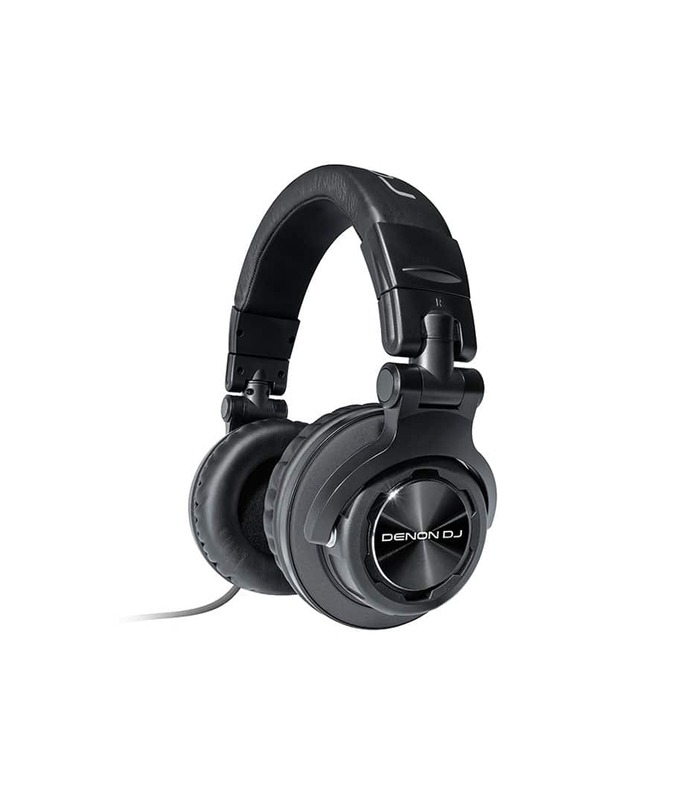 Hp1100 Headphones from Denondj is 100% original and brand new. We, at Melody House take pride in our after sales service and support. For further details on the hp1100 headphones, Denondj, simply write to us to consult an expert or order online and we will take care of the rest. Happy Shopping! Need Help? Leave your details and we'll contact you back. Our Sales Engineers are available to offer you best product advice any time you need it.